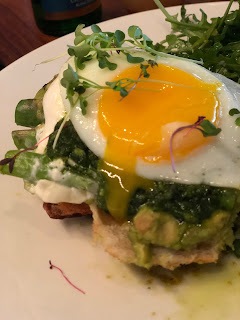 I am 99% sure I've blogged about Heirloom in New Haven on more than one occasion. But hen you find a great place, you go to that great place. 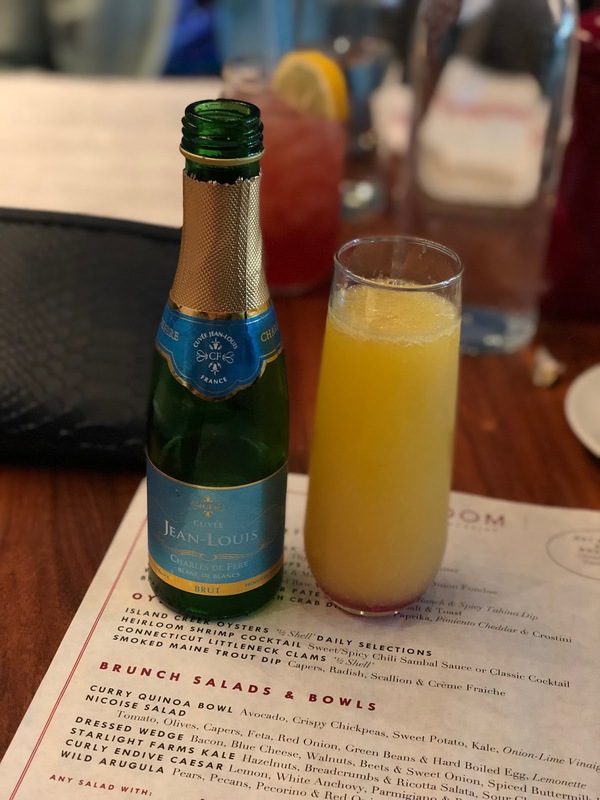 My book club was looking for a brunch spot in the greater New Haven area, and when in doubt, Heirloom is always delicious. This might be my favorite reason for going. I mean, when you order a cocktail that has champagne in it, you get a mini bottle to finish off. Seriously, the BEST! 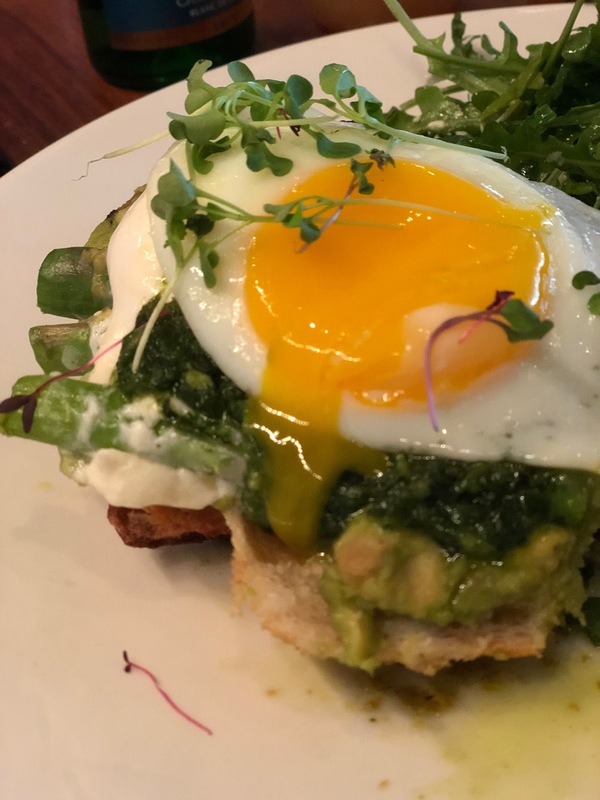 While I am just about 40 years old, I do love a good avocado toast. Heirloom did not disappoint. 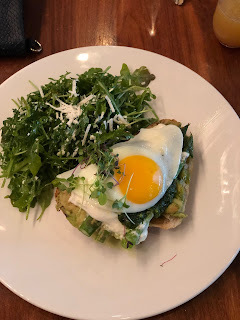 Toasted bread with a fried egg (oozing goodness, I might add) with grilled asparagus, salsa verde, cilantro, lime, and queso fresco. Yum. I meant oozing, didn't I?! 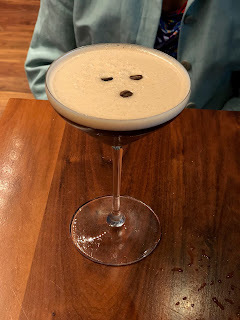 Dessert MUST have been paired with a dessert cocktail and their espresso martini is not only beautiful, but goes down VERY easily! 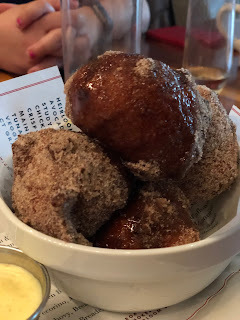 If you only get one item on their menu, it should be their hot caramel apple doughnuts. Served with a yummy vanilla anglaise sauce, the chunks of fresh apple in the doughnuts make you feel as though you're eating something healthy. Just keep your eyes closed and the calories don't count! 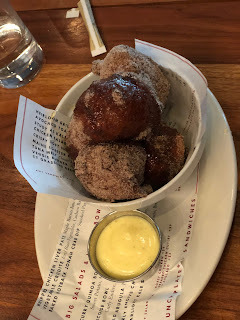 Have you been to Heirloom? Do you have a go to spot for brunch in New Haven? !